On Sunday 6th December the United Launch Alliance was successful in launching the Atlas V rocket from Cape Canaveral. Several aborted attempts owing to weather conditions frustrated the teams in the days leading up to the eventual liftoff, not least of which were the Raspberry Pi team who have named their travelling modules Astro Pi for experiments to be run while on board the International Space Station. As an educational tool, the Raspberry Pi has been hugely successful for programmers of all ages and levels. The modules being carried by the Cygnus cargo freighter to the space station by the Astra V rocket will be running experimental Python programmes written by competition winning school aged programmers; the results will be available for all to see back on earth. British Astronaut Timothy Peake is the man tasked with running the experiments and sharing them. Using Sense HAT hardware, one of the experiments includes using the Pi to sense its surroundings and render the pages for visualisation in a Minecraft world. If you’ve yet to experience a Raspberry Pi for yourself, it’s an ingenious bit of kit. 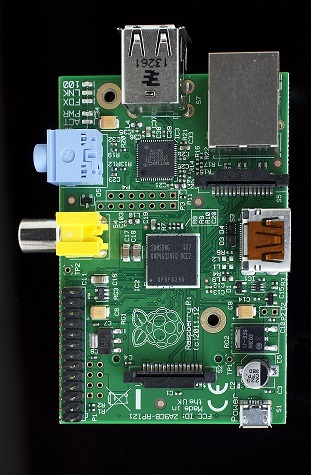 Powered via 5v micro USB, the Pi comprises simple connectivity; the operating system is installed on an SD card, an RCA socket allows connection to analogue TV or via HDMI to a digital or Hi-def screen, a USB port allows you to connect a keyboard (or keyboard and mouse on the two-port Model B) while an Ethernet port also available on the Model B means you can connect to a network. Taking an inexpensive and versatile mini-computer has captured the imaginations of millions, many of whom share their open source code; some of the projects can be seen on the Raspberry Pi blog. We’re also intrigued by this particularly pertinent Kick Starter funded project that tells you where the ISS is at anytime and through informational screens gives orbit, speed, current crew and news data. At Leotronics we offer a range of connecting solutions to the electronics industry, low MOQs and fast turnaround, call us today for a no obligation quote.